Home / Fanfiction / Does ClexaCon Have a Representation Problem? Don’t get me wrong, I’m a big fan of many of these ladies, and even if I wasn’t familiar with their work, I was a big fan of their faces. My only problem is that at one point, looking out at the tables, all I saw was a sea of white, mostly cishet actresses who played queer characters on TV. Now, I know that many of these actresses are amazing allies to the queer community—no one can fault Chyler Leigh’s dedication to making sure that her LGBT+ fans are seen and heard, or dismiss how passionate Sarah Shahi and Amy Acker feel about their characters. I’m not implying that we dismiss these actresses or their contribution to queer fandom, only that when the majority of our “ships” are made up of straight, white women, there’s a conversation to be had. The problem is that we, as a community, so vocally demand representation, and yet constantly settle for white allies championing our favorite queer characters. A glaring example of this was the length of the autograph lines for Wynona Earp showrunner Emily Andras, versus that of Nafeesa Williams—a WOC who plays a lesbian superhero on the CW’s Black Lightning. While Andras’ line went on forever, there were moments where Nafeesa Williams had only three or four attendees waiting to speak to her. So, we have a white writer of a show containing a popular lesbian pairing getting significantly more attention than the first black woman to portray a lesbian superhero on mainstream television. While I know not everyone is into Black Lightning, it remains our responsibility to support projects that showcase queer POC characters—isn’t that what Tumblr is always yelling about? WHAT KIND OF REPRESENTATION DO WE REALLY WANT? This brings us back to ClexaCon—this wonderful, rainbow Shangri-La. A veritable ode to our deepest fan desires. Based on the most popular guests and most well-attended panels, it certainly seems like are deepest desires are lacking diversity. It was heartening to see Legends of Tomorrow’s Maisie Richardson-Sellers in such a prominent role and on panels with Chyler and Caity. It was amazing that Stephanie Beatriz had such support at her panel on bisexual representation. The Disabled Representation in Media panel was fantastic. 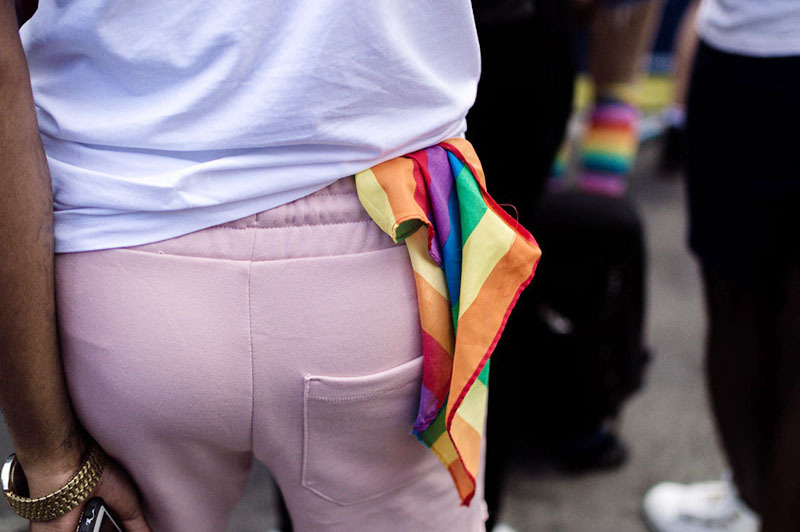 But still, the majority of the excited tweets, posts and reblogs to come from the weekend featured actresses who, while very supportive, are on the periphery of the queer experience. The problem then, is not ClexaCon… it’s us. I’m certainly not saying we can’t be excited about our favorite pairings, or that we should only support projects that feature specific demographics, but it’s useless to demand representation and not support it when we get it. The onus is on creators to diversify content and to employ queer actors. This isn’t always possible, as the casting process is often tricky, but in my experience, listening to Stephanie Beatriz, a bisexual woman of color, speak about her experience, is far more significant than listening to Caity Lotz, straight white actress discuss the importance of playing a bisexual character. The onus is us, as the consumers and audience to recognize the problem with a convention full of white, straight actresses portraying queer women, and to not only demand more diverse content, but also support it. Stand in lines, pay for photo-ops, tweet, watch, engage, and learn. It’s our responsibility to show conventions like ClexaCon that they need to find, celebrate and present diversity. This year was okay, next year should be better. There’s room to grow, and I look forward to seeing how we, as attendees, determine and shape the content we receive. Alex K. Thorne graduated from university in Cape Town, South Africa with a healthy love of the classics and a degree in English Literature. She spent the next few years, teaching across the globe, from Serbia to South Korea, also writing fanfiction, and developing a kimchi addiction. When she’s not picking away at her latest writing project, she’s immersing herself in geek culture, taking too many pictures of cats, and dreaming about where next to travel. 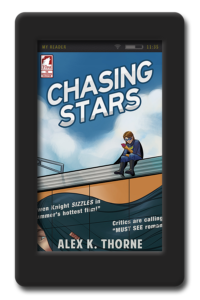 Alex just published Chasing Stars as part of Ylva’s Superheroine Collection. I like to call it white default. We clamor for representation but just like everything else we’ve been socialized to see it as white. Can’t move from it until we make the choice to do so and expose ourselves to something out of our comfort zone and see that we are actually pretty much the same. Well said! It really is so often a case of white as the default, and what we need is a paradigm shift from audiences. But I agree– it comes down to a choice. Sarah Shahi isn’t white, but overall an excellent post! I agree that this is a problem and something we need to get better at as a community. More often than not, the best roles go to the white actresses and unless everyone in our community demands change, then the status quo will remain. I personally would love to see more interracial relationships. This is a great article! So many good points. The dialogue on this subject needs to be amplified. ClexaCon is an important vocal space that pushes for better LGBT+ representation in media and accountability on that front—as it was spearheaded by fans wanting better representation—and so it also must foster support for greater diversity itself. ClexaCon did have a Nefessa Williams panel, and that’s great because they didn’t sleep on Black Lightning by adopting a ‘wait and see’ approach to its fandom. ClexaCon’s early support of Black Lightning’s visibility in the queer community should be applauded and I hope it continues in the future. From what I gather from reading about the event and as you’ve highlighted, a big problem was attendees not embracing Nefessa Williams’ panel. Her character is lesbian on the screen and she’s a WOC, so as you’ve stated, the fans themselves need to support that diverse representation, especially when it’s intersectional. Just because audiences can’t ship her character with anyone on the show, via the show’s writing not giving her a true love interest at this point, is no excuse for such poor support at conventions, though it is likely a big factor as a lot of convention fans seem to be about the shipping. Also, I’m not sure how large the LGBT+ viewership is for the show right now or how much of that viewership is comprised of Caucasian women. I mention that because Caucasian LGBT+ women seem to comprise the largest group of ClexaCon attendees. The Black Lightning showrunners and writers should engage queer communities more, and create more conversation about Nefessa Williams’ work on the show and where they envision taking her character next season. Wynonna Earp has its actresses, writers and showrunner engaging its fans and LGBT+ communities on social media and at conventions. It’s like Nefessa Williams is left on her own to create and to support a nascent fandom. The writers do need to round out Nefessa’s character more on her relationship front, but this should not be the only deciding factor for fans of diverse representation to embrace the character. (Still, again, yes, exciting relationship writing should be an integral part of the equation regarding her character’s continued growth.) But, equally important, fans of good representation need to support shows like Black Lightning, even if they only support Nefessa Williams at conventions, because the show is providing one of most underrepresented portrayals of queer women in media; it’s representation that everyone seems to say they want, but then our LGBT+ communities drop the ball by not putting their money where outcries for greater representation are trying to be met in non-pandering, non-queerbaiting ways. The more that happens, the less we’ll see networks and executive producers ‘gamble’ on representation that is diverse and intersectional. If we all ‘show up and show out’ to support more POC LGBT+ representation at conventions like ClexaCon and watch the shows as they air the way groups mobilized Marvel’s Black Panther viewership to over a billions dollars at the box office, then we’ll help sustain the momentum behind fostering more truly diverse representation in our media. Thank for the comment, Cristina! You really hit it on the head with “it’s representation that everyone seems to say they want, but then our LGBT+ communities drop the ball by not putting their money where outcries for greater representation are trying to be met in non-pandering, non-queerbaiting ways”. This is exactly how I feel. We need to be vocal about representation, yes. But when weget it, we need to support it in every way possible. Ah, yes. Sarah Shahi is Persian, isn’t she? Good catch. I agree with the interracial relationships. There are so many dynamics that cen be explored beyond what we’re currently seeing. Excellent article! I’ve had the same conversation with a close friend of mine, and we both agree the con is doing right, but the fans need to do better. 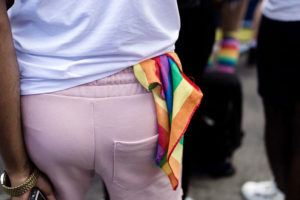 I am a queer person of color, and there of times where I have to check myself. You know, you get conditioned to seeing things portrayed one way, and it sort of becomes the default unintentionally. But Nafessa playing Anissa is the kind of representation I would have loved to have seen when I was younger. I literally gave them my money for several reasons beyond the queer rep. I think this is an important conversation that needs to take place in the queer community because we all want representation, but it also needs to encompass the varying types of individuals in regards to it. Absolutely! We need to be having conversations, talking about the POC queer rep we’re seeing and getting excited. It absolutely is about how we’ve been conditioned, but I think with awareness and conversations like this one, we can change the default. Im thorn when i read this article because yes we always scream we want more LGBT+ content on TV …but does that mean i have to support everything just because it is LGBT+ ? Is every hetero person supposed to support every TV show just because it has hetero content… it feels wrong to me to support something just because there is LGBT in it… I dont support every movie coming from germany just because im german? !